Hypercholesterolemia (increased cholesterol), sleep apnea, prostatic hypertrophy and prostatism, glaucoma, ventral hernia, anxiety, nonspecific constipation, ocular hypertension, astigmatism. The most serious are their heart conditions, which go through coronary problems, atrial fibrillation (arrhythmia); Ischemic heart disease, chronic hypertension and suffered even had a heart attack that only his doctor recognized. His spokesmen have said that he has had a stroke threat, that he suffered terminal prostate cancer - from which he has recovered completely and miraculously - and now his doctors have found him a psychiatric illness, apparently transitory, that leaves him out of the trial for three weeks. In the United States, when he was on vacation before his extradition, he went through a angioplasty and vascular stenting process, although he wrote that the matter was more serious: "I am about to open my heart." The severity of his suffering has forced him, even, to request the services of a priest to give him the holy oils, since he was going through a delicate condition of health, announced his spokesman Luis Eduardo Camacho and his wife, Marta Linares. I have lost the account of the hospitalizations (including that of the intensive care room), exams, transfers to hospitals, which he has endured. In spite of the magnitude of his its serious ailments, he has taken the decision not to take the medicines to alleviate his heart affections or has avoided examinations, since it requires specialists doctors in and private hospitals rather the garbage that is in the public ones. His multiple and serious illnesses have not minimally diminished his deep vocation for public service. 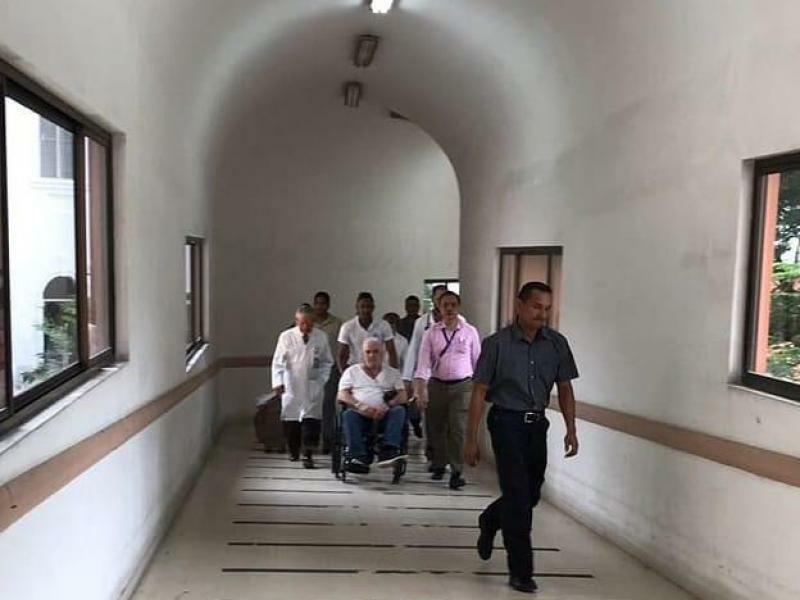 Martinelli has made it clear that he is willing to leave the hospital bed to walk the streets. He has demanded that he be allowed to campaign to be a deputy of the Assembly and mayor of the capital district, which means an extreme effort to be a cancer survivor, a heart attack, his threat of stroke and now his mental condition, which, according to his doctor, puts his own existence at risk. There is no doubt: this man is great among the greats.